A large part of my teaching is about reading the social and physical cues given off by women and reacting to them for the best results. It’s something that you can pick up with practice, and you can put it into effect while you’re ordering coffee or waiting for the bus. When you’re in a committed relationship, and you have a far deeper knowledge of her life and personality, what are the signs a woman is falling in love with you? Real love is rare, so you have to pick up on those signs she wants a deeper relationship with you. Either you don’t feel ready, and you want to communicate that to her, or you want to escalate your connection to the next level and don’t want to miss those vital signs before it’s too late. Dating can and should be fun, but you’re reading this because, ultimately, you want to be in love with a girl. Maybe you want to tell her but aren’t sure if she’s in the same place yet. Here are some surefire signs that she’s falling for you. • She’s trying to make more plans with you. • The two of you are building a repertoire of in-jokes. • The compliments will be flowing. • Things will remind her of you. • It’s in the giggles and the eyes. • The conversations are getting deeper. • She will miss you when you’re not around. • She will be completely natural around you. She will communicate this to you very, very openly. In all of this, you have to realise that we are no longer in the territory where she’s being withholding to make you work for her. SHE’S TRYING TO MAKE PLANS WITH YOU. Perhaps you’ve been together a few weeks or months, and she’s starting to suggest weekends or even full holidays away. Maybe you only see each other at the weekend, and she’s starting to suggest eating out after work during the week as well. She might simply be trying to hang out with you more. Either way, women do not give up their free time for just anyone. If she’s angling for a heftier chunk of your time, it’s likely she’s falling for you. THE TWO OF YOU ARE BUILDING A REPERTOIRE OF IN-JOKES. In-jokes are a vital part of a relationship, a memento of shared and valuable experiences that elicit a compelling or hilarious memory. They’re also a marker of territory. They are a shared slang or jargon language that have meaning only to that group or, in this case, couple. It means she’s starting to mark an identity out for the two of you as a couple. It’s one of the surest signs she loves you. And in-jokes take two people – you’re very likely in love with her too. THE COMPLIMENTS WILL BE FLOWING. Some girls are just naturally bubbly and think the world of everything, but if she’s keeping the hyperbole out of it, and her compliments seem meaningful, it could be a sign of love. 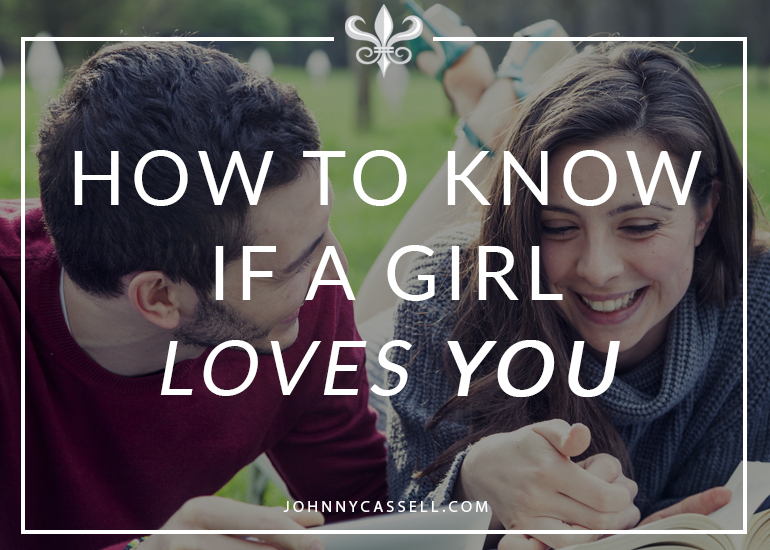 It’s the other actions, like wanting to hang out with you more, that give these compliments meaning, but they’re still how to know if a girl loves you. Compliments will be coming with an increased frequency and power. Likewise, if she says she loves you but doesn’t seem to have anything else nice to say about you, maybe she’s feeling a little off about you. It might be time put your communication skills to use. This ties in with the in-jokes, but you will be able to earmark the time she started falling in love with you by your SMS history. She’s not going to be shy about letting you know she’s thinking about you. You’re welcome to match it if you’re feeling the same. If you’re not quite there yet, then leave it at positive reactions to her gestures. IT’S IN THE GIGGLES AND THE EYES. Body language can also be a sure sign that she’s falling head-over-heels for you. If she’s rolling around with you and having constant fits of the giggles, it’s more than likely she’s starting to fall pretty heavily for you and she’s nervous. It’s one of the signs she loves you but is scared to tell you. She will also make doe-eyes at you. There’s not a way to explain it. You will know a look of love when you see it. THE CONVERSATIONS ARE GETTING DEEPER. The conversations will get longer, more personal, and more philosophical as she tries to work out who you are. It’s a natural symptom of two people strengthening their bond and exploring their views of the world together. She’ll also be looking to see your views on fatherhood and marriage. If she’s in love with you, those thoughts will be somewhere in the back of her head. SHE WILL MISS YOU WHEN YOU’RE NOT AROUND. It’s part and parcel of thinking of you when you’re not there, but she will let you know she’s missing you. If she feels like she can’t breathe without you by her side, there are issues that need addressing, but it is healthy for her to miss you. If you don’t miss her too, why not? If you’re in a committed relationship, you should want to be around that person, and you should think about them when they’re not there. SHE WILL BE COMPLETELY NATURAL AROUND YOU. Real love needs no posturing. You will know she loves you if she is happy just being herself in her space around you. If you only see her when she’s dolled up and ready to go out, she might not be in a place where she loves you yet. Remember, everyone’s different, but these factors combined are powerful indicators of deeper feeling. 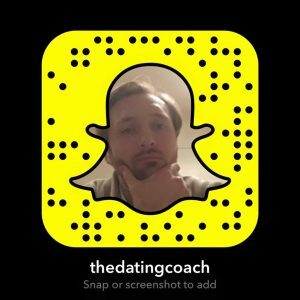 For more tips on managing relationships, head over to johnnycassell.com/pua-training for the next steps in your connection.